Please join us for a special talk from Conservation International CEO and ASU-CI Distinguished Professor of Practice, M. Sanjayan, as part of the ASU-CI partnership. 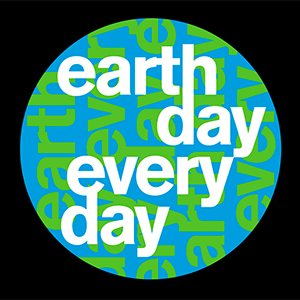 During this talk, he will discuss the importance of nature to human wellbeing and the role we all play in conserving it. 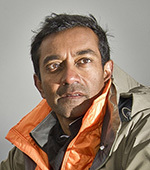 M. Sanjayan, a global conservation scientist specializing in how nature preserves and enhances human life, serves as Conservation International’s chief executive officer. Sanjayan holds a doctorate from the University of California, Santa Cruz, and his peer-reviewed scientific work has been published in journals including Science, Nature and Conservation Biology. He is a visiting researcher at UCLA and a distinguished professor of practice at Arizona State University. Raised in Southeast Asia and Africa, Sanjayan’s unique background and expertise has attracted widespread media coverage. His appearances include “The Today Show,” “The Late Show with David Letterman,” “CBS This Morning” and “CBS Evening News,” and he has hosted and cohosted a range of documentaries for PBS, BBC, Discovery and Showtime. Most recently, he hosted of the University of California and Vox Media’s Climate Lab series. Sanjayan is a Disneynature Ambassador, a Catto Fellow at the Aspen Institute and a member of National Geographic Society’s Explorers Council. He posts frequently from his expeditions at @msanjayan.